I have to admit that at one time I hated cheese. But time does have a way of changing things and tastes and so naturally, when I married a Frenchman my taste for cheese improved greatly as it was front and centre in my daily life. You know, the French are considered to be the specialists in making cheese and consuming cheese. Believe it or not, on average a French person eats 24 kilos of cheese a year. 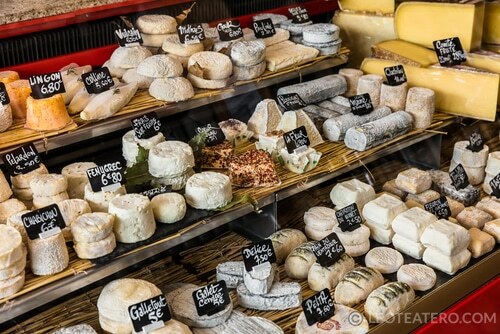 Former President, Charles de Gaulle, once famously said, “How can you be expected to rule a country that has over 246 kinds of cheese?” And he is indeed was correct, today there are over 400 kinds and 1000 types of cheese in France, how does one manage? Countless textures, flavours, colours, ones that crumble, ones that are moldy, grayish, ashen, maybe hard, soft and of course, the smelly types exist today and are produced all over the country with great pride and joy. 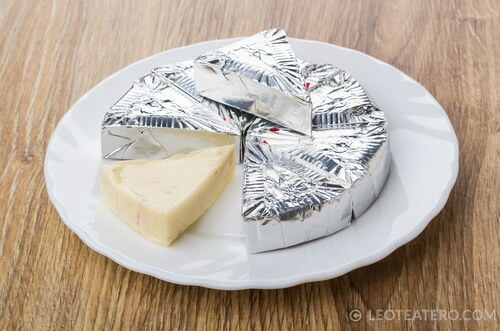 At French events cheese is must do and a course, served before the dessert, while the English serve cheese after the dessert or sometimes not at all. French cheese is also served usually with bread, English with crackers, but I actually like to do both, giving my guests the chance to make up their own minds. 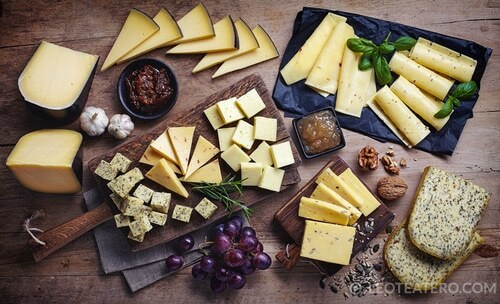 Like many traditions in Europe, cheese was started long ago around the time of the Roman Empire. The first to write about the different stages required in the cheese making process was the Roman agronomist Columella in 60CE. In some parts of the world it dates back event further, but with the fall of the Roman Empire, most recipes were lost. But interestingly enough, a few monks hidden away in monasteries continued producing cheeses and in some cases have continued making the same cheese today. Many of their recipes, such as Maroilles, Meunster and Pont-L’Évêque, are examples of this lineage. Around the 13th century onwards, production began to grow on French farms. Peasants invented regional cheeses. This was the start of a French tradition based on the idea that cheese making was something almost exclusively done by women, with recipes and know-how passed down from mothers to daughters and improved upon over time. Sadly, many cheeses were not well known, because in order to keep the cheese fresh and transport a fragile material, the sale and consumption was limited to local markets. Traditionally, French cheeses are divided into eight groups known as les huit familles de fromage (the eight cheese families). 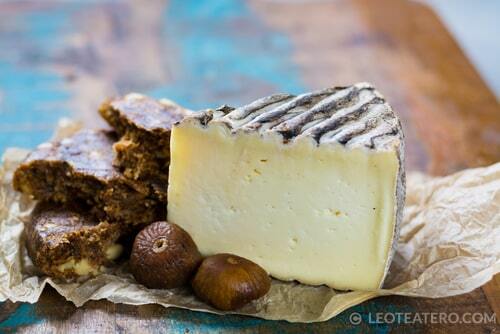 These cheeses are made from one of three sources of animal milk: cow, goat, or ewe (sheep). Fromages frais aka Fresh Cheese can be made from cow’s, sheep’s, or goat’s milk, fresh cheese is not aged and contains a lot of water. 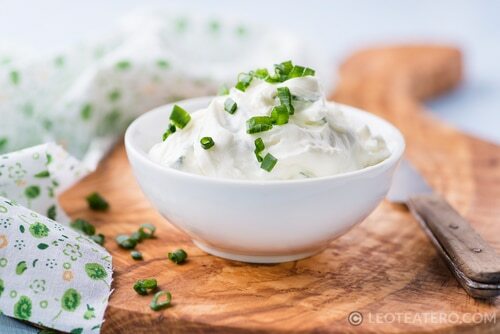 Fromage frais and fromage blanc are fresh creamy white cheeses, made from whole or skim milk and cream, with the consistency of a cream cheese but with fewer calories and less cholesterol. It can be a savory appetizer, a creamy dessert by combining it with herbs, fruits and spices and is a traditional accompaniment to caviar since it reduces the saltiness of the eggs. Also great for making cheesecake and served with granola for breakfast. Fromages à pâte molle et à croute fleurie aka Soft Cheeses with Natural Rind, is made from usually from cow’s milk they are aged for at least a month and are easily recognized by their doughy white surface. 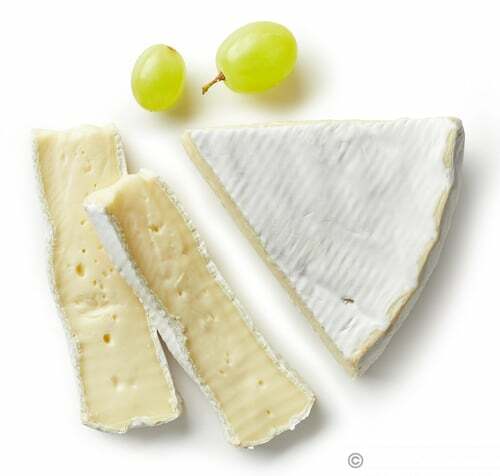 Brie is one of the world’s best-known cheeses, is considered one of the Kings of Cheese. It actually gets softer and becomes runny as it ages. This deliciously creamy cheese is set to make your heart whether eaten in slices, with herbs, fruits and nuts. Today, the new hot thing on many menus are Hamburgers serve with a slice of brie. 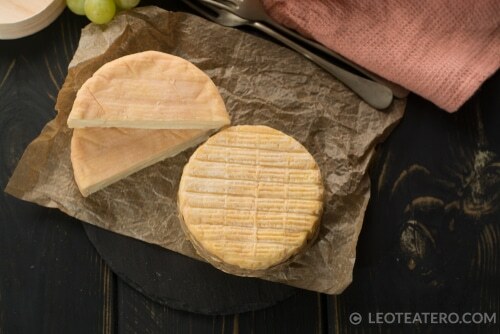 Fromages à pâte molle et à croute lavée aka Soft Cheeses with Washed Rind, comes from cows but during the aging process its rind is washed away to prevent surface mold. Livarot and Muenster are excellent strong-smelling cheeses but also smooth, not sticky and an interior paste that is pale to light yellow with a very strong, moist flavor when eaten during its very brief, perfectly ripe stage. Like most cheeses is perfectly paired with the local Normandy Apple Brandy, called Calvados. My husband’s grandfather used to make Calvados and we have a few special bottles from him still. It makes for a beautiful pairing. Fromages à pâte pressée aka Pressed Cheese undergoes intended pressure during the aging process; these full-fat raw milk cheeses lose the majority of their moisture, making them more dense and hard. The cheeses are aged for several months and are meticulously washed, turned, and brushed in order for a consistent rind. 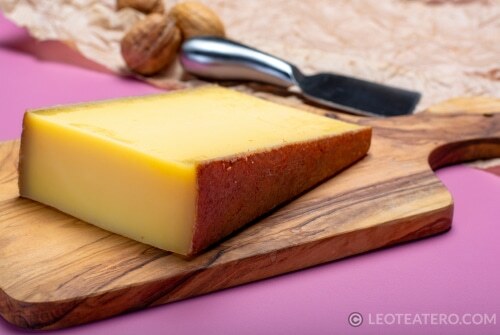 Cantal, Tomme de Savoie is a regional name for this mild, semi-firm cheese. These are a must for any charcuterie platter! Fromages à pâte pressée et cuite aka Pressed and Cooked Cheeses are hard cheeses that age after being heated and formed in cylinders. Cheeses like Gruyère, Comté or Gruyère de Comté hails from Eastern France. Cheddar falls into this group too. Made from unpasteurized cow’s milk, this delightful cheese is an all-around versatile star and could be served cubed, on a sandwich, melted in a fondue, folded with eggs, or grated and sprinkled on dishes. It has a fruity yet smoky and salty yet sweet flavor that is sure to please. Fromages de chèvre aka Goat Cheese is a soft cheese made from goat’s milk that is aged two to six weeks. Sometimes mixed with cow’s milk to create a mi-chèvre. Goat Cheese is one of my favourite cheeses because it mixes so well with so many other things and proves to be a great canapé. 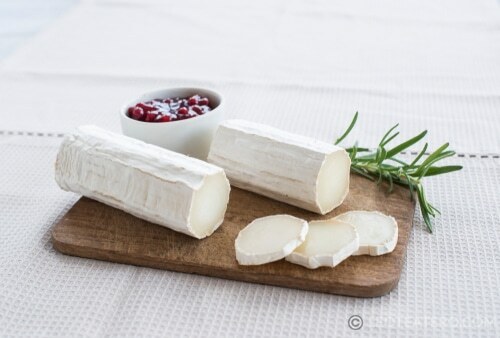 Rocamadour, Banon, a French cheese made from raw goat’s milk, is best consumed very fresh. They are flat disc shapes wrapped in wine-soaked leaf wrappers and tied with raffia twine. As it ages it develops a stronger fruity and nutty flavor. These pair beautifully with herbs, sliced onions and a drizzle of olive oil. Here is the recipe, from Martha Stewart, which is always a huge hit at my cocktail parties, Herbed Goat’s Cheese. Fromages à pâte persillées aka Blue Cheeses has little veins of blue-green mold throughout the typically two-month ageing process of the cheese, which is done in a cave and can be made from cow’s or sheep’s milk. 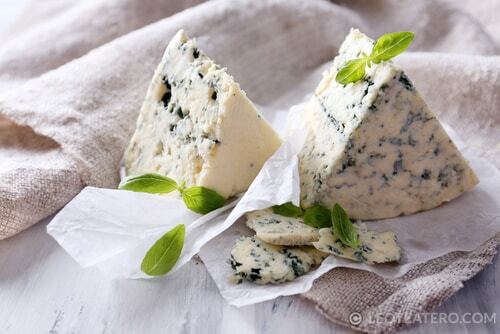 Roquefort, one of the best-known cheeses is also known as the King of the Blues. It’s from the south of France near Montpellier and is aged in a collapsed mountain, which created caves that have just the right humidity and temperature to produces these blue veins of mould. It’s therefore moist, crumbles easily into little pieces and has a sharp, salty flavor. It is also mostly used in hearty salads, soups and dressings. Roquefort has always been produced and matured exclusively in the village of Roquefort. King Charles VI who, in 1393, granted the monopoly for the cheese to the inhabitants of the village strengthened this brand. 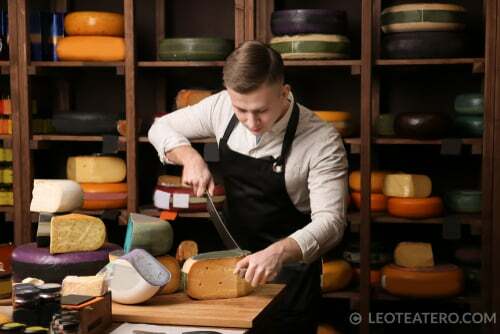 Successive Kings continued the tradition and today it remains one of the most popular cheeses around the world. Fromages à pâte fondue aka Processed Cheeses are cheeses are a blend of other cheeses, herbs and spices. These spreadable cheeses are usually served on bread. On a personal note, it’s interesting my husband neglected to ever mention this cheese to me and I only happened upon it just before we moved to France. He is a cheese purist and doesn’t believe this category is actual cheese per se, but more of a cheese by-product. But, I find it to be some of the best cheese when working in the kitchen and use this cheese in recipes, sauces and salads. When shopping for cheeses it is the same as shopping for fresh vegetables. Some are in season and some are not. Ask the fromagerie about which cheeses are in season. Finally, when selecting cheese, keep in mind that it is very much ‘alive’. Due to differing bacterial cultures some cheeses will happily sit in the refrigerator for several days once cut into while some need to be eaten quickly. Again, defer to the attentive experts at the fromagerie about when and how to enjoy your specific cheese selection. In many French households, the cheese is left on the counter under netting, as the belief is that they breathe better not in a refrigerator. However, you also risk the cheese permeation of your cuisine. So don’t be shy the next time you are entertaining and step outside your comfort zone to make a great cheese tray. Tradition states you need are a combination of 3, 5 or 7 of the cheese groups. Never have more kinds of cheese than guests and always serve an odd number. 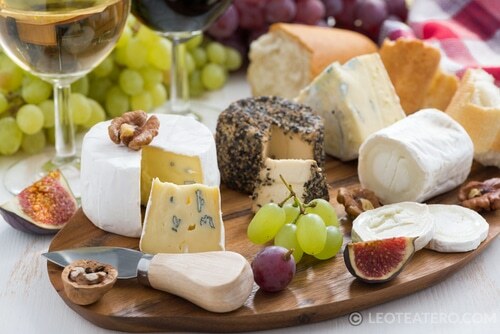 For the cheese plate, arrange the cheeses in a line or circle from lightest to strongest for your guests as that is the order in which guests should eat the cheese. You could even label them. 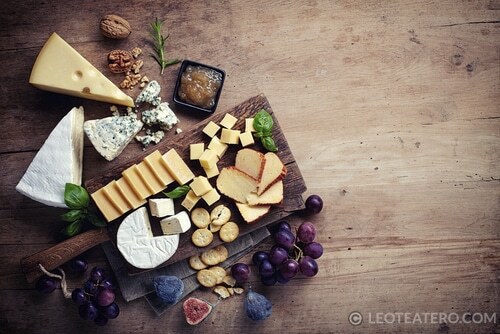 In between the cheese, stack some crackers, place tiny bowls of confiture (fig jam), fresh & dried fruits (pear, apple, blueberries), nuts (hazelnut, walnut, pecans), perhaps some olives too. Served with sliced baguette on the side. Remember, you want a little sweet, a little salty, a little crunchy, and a little colourfulness on the platter. But don’t make the platter look too cluttered. You want filled, but not overflowing like a fruit platter. Use little antique silver spoons for the jam. Add a little greenery or fresh herbs into the spaces not covered. Be sure to let the cheese come to room temperature, as cheese is rarely supposed to be served cold and it will allow the flavour to develop. Place a few knives near, but note that each cheese needs its own knife, and my golden rule … always cut three pieces of at least two of the cheeses, so it looks like someone has started. At the French dining table, there are a few must-do rules to follow for the cheese course. When the platter is passed to you, French people insist you try at least two or three kinds, but you are still able to taste all of them, if you so desire. However, choose wisely, as you must only serve yourself once, and never going back for a second serving. It is to be served once. Otherwise, it implies the host did not serve enough food. The famous Spanish Film filmmaker, Luis Buñuel once said “age is not important, unless you are a cheese”. I couldn’t agree with him more. Congratulation Leo . Your investigations and records are always full of information and discoveries, even for knowledgeable people in the relevant matters. Thank you especially for remembering that Calvados is one of the major location for the production of top famous cheeses like Camembert, Livarot and Pont L’Evêque. This department is not only famous for its Brandy (Calvados) but also for its local ciders especially those called “cidres bouchés”, drinks that are very appropriate to join the cheese party.